The event presents Gubac urging the peasants into revolt and portrays the final battle (cannons, rifles, legendary peasants’ weapons, archers, the gentry and peasant armies) with the participation of over 100 extras and 150 members of various associations. It is a brilliant staging of the battle, failed negotiations and the tragic finale of the defeated peasants, the capture of Matija Gubac. At the end of the battle peasants win. 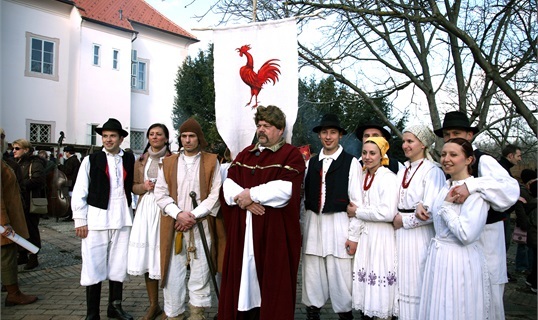 There are also interesting interactive workshops which attract visitors’ attention and urge the participation of parents and children alike (mostly from Zagreb), who join in the events, dressed as peasants or the gentry.